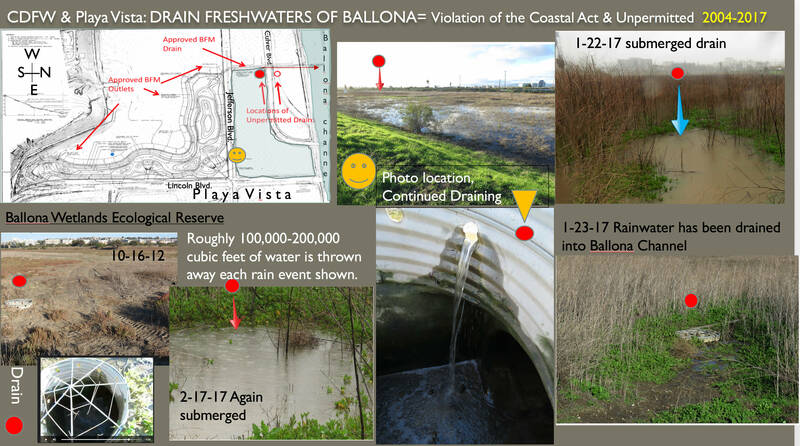 Visuals and Grassroot Coalition Letter to California Coastal Commission requesting investigation to prove the legitimacy or illegitimacy the history of Ballona's Restoration Process. What permits are completed and which are not? What damage has been done and how will the damage being fixed? The California Department of Fish and Wildlife and Playa Capital LLC have agreed to stop draining freshwaters from Ballona Wetlands via the unpermitted drains. CDFW has applied for a Coastal Development Permit to cease the drainage. Grassroots Coalition invites you to attend and participate at the Coastal Commission Meeting, expected in August 2017 in Los Angeles. 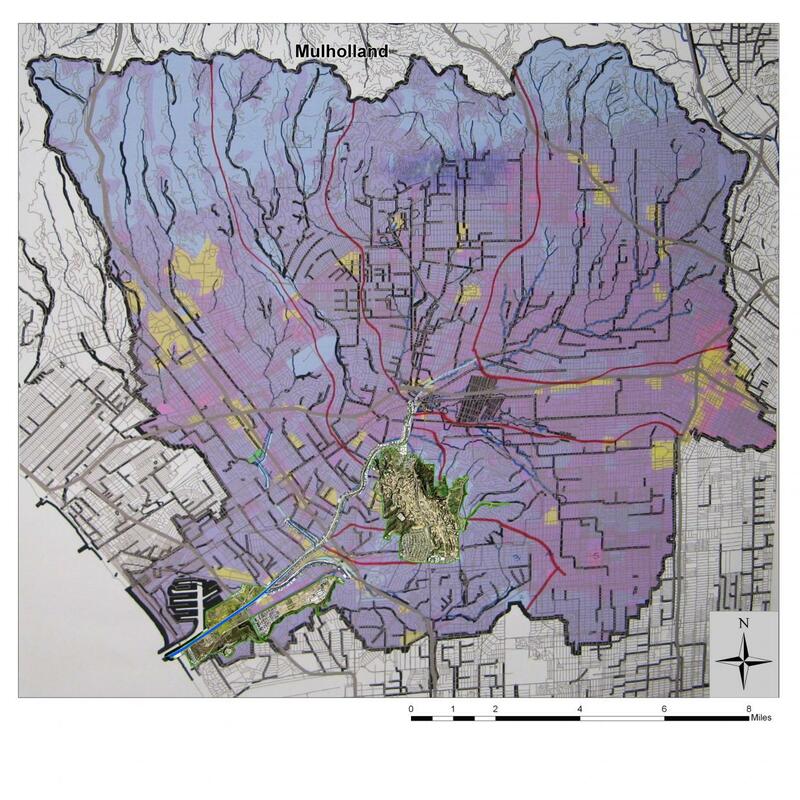 The topic is the review of the CDFW requested permit to cease the drainage. "When the People Lead, the Politicians Follow"
Beginning in the early 1900's over 120 miles of streams were replaced with Storm Drains. 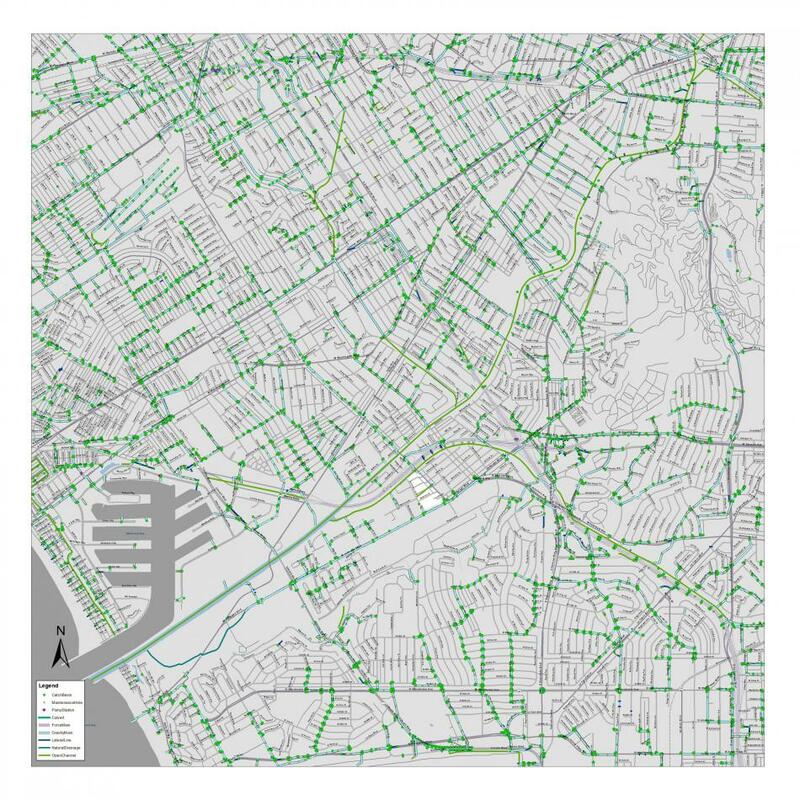 Today, rainwater rushes down driveways to streets gathering pollutants, entering storm drains that flow into concrete rivers like Ballona and finally into Santa Monica Bay. There is another way. 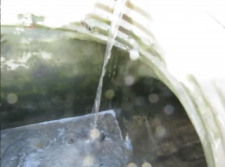 Capture, cleanse and reuse rain water in Urban Parks, on Private and Public Property. Use cisterns, swales, rock gardens and rain barrels. Daylight streams. Restore underground aquifers. 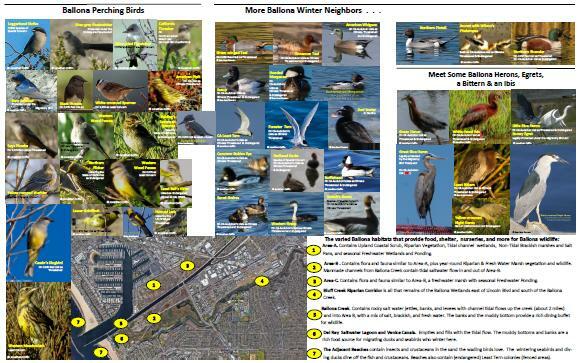 Documents and Excerpts That State Why and How MDR Was Created a small craft harbor, 5.5 miles of wider beaches, a bird sanctuary. The intent: healthy recreation for all of greater Los Angeles with almost equal funding by LA City, LA County and US Congress. Commercializing Public Recreation. A WINDFALL Profit for Developers. What might have been. A County Wide Study between 1927 and 1930 by Olmsted (NY Central Park Designer) and Bartholomew proposed "Future: Parks, Playgrounds and Beaches for the Los Angeles Region. 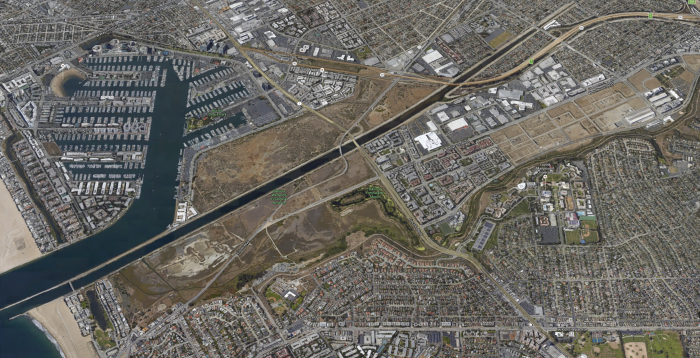 Fly Over of Ballona and Marina Del Rey, CA - Having a Say In Our Future. 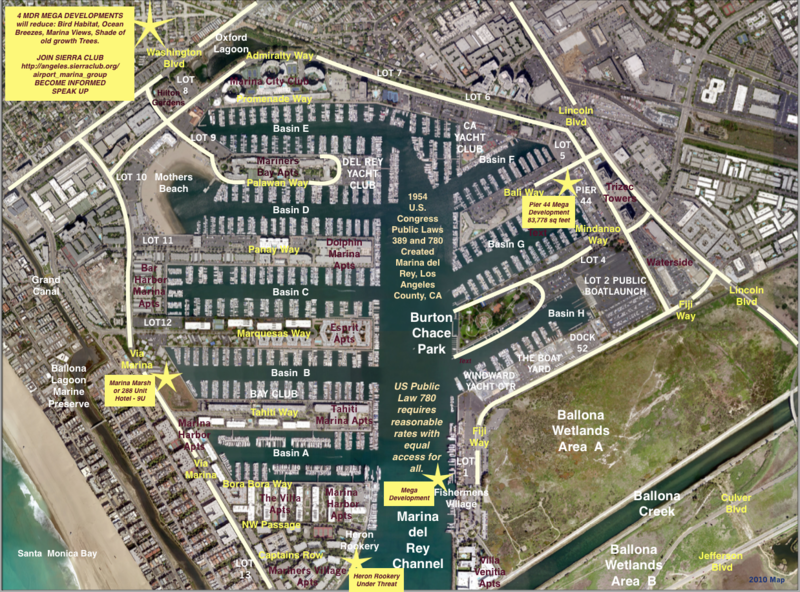 Let's recapture the promise of a small boat harbor, wildlife habitat, and equal access for all at a reasonable cost in Marina del Rey. Since 1954, Los Angeles County has grown from 2 Million to 10 Million Residents. 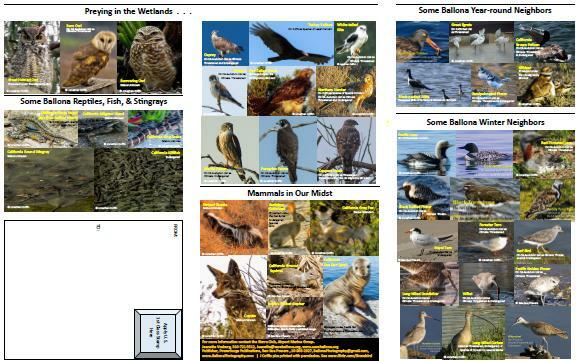 We need to review each 49 to 60 year lease and decide if, instead of renewal, we should expand parks and habitat. Los Angeles imports 85% of its fresh drinking water from more than 200 miles away. It costs 30% of our state electricity to send drinkable water to southern California. 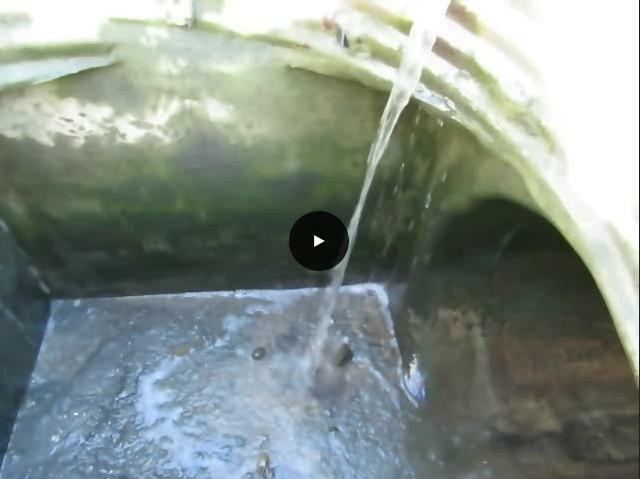 Watch the 2015 Culver City Garden Club Video Reduce Water Use. How? Replace thirsty grass with drought tolerant plants, concrete with rock, gravel and permeable pavers. Beginning in the 1920's thousands of oil wells were drilled in the Los Angeles area: many are still producing, many are leaking harmful gases, some are capped but leaking. Each well needs to be inspected and made safe, especially in residential areas. 55% of Voters in Monterey County, California's fourth-largest oil-producing county, on Tuesday, 11.8.16 passed Measure Z to ban fracking and other dangerous extraction techniques.